We help businesses achieve more sales via Google search engine queries. 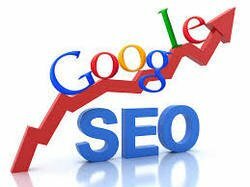 SEO is a methodology of strategies, techniques and tactics used to increase the amount of visitors to a website by obtaining a high-ranking placement in the search results page of search engine – including Google, Bing, Yahoo etc. MADITbox has expert staff to work on On Page and Off Page SEO Services. On Page SEO Services are activities undertaken to ensure Google and other search engines can easily understand what your web pages are about and what keywords your site is relevant to. Off Page SEO Services are activities undertaken away from your own website to generate trust authority and traffic with search engines. Link Building is one of the key activities undertaken here. Contact us today to see how we can help your website get placed on top of Google results for relevant keywords.